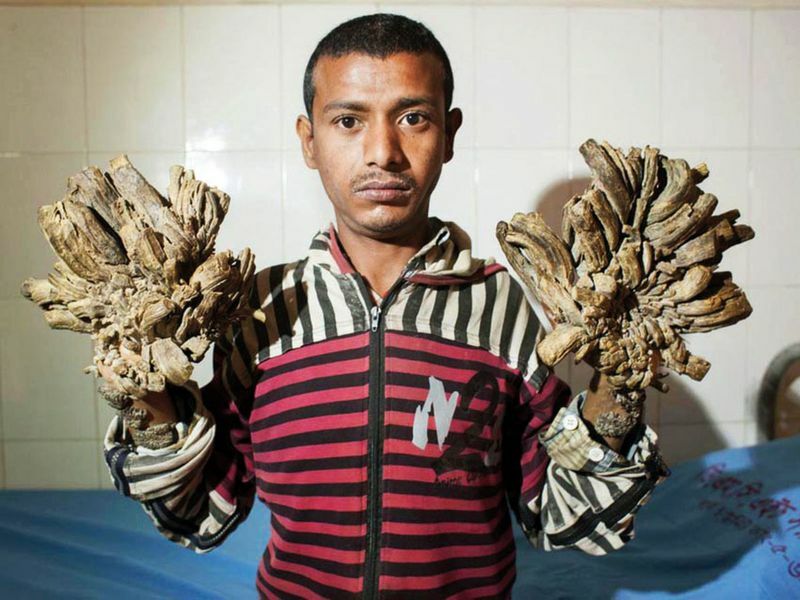 DHAKA: A Bangladeshi father dubbed “Tree Man” for the bark-like growths on his body returned to hospital on Sunday after his condition worsened, he told AFP. Samanta Lal Sen, a plastic surgeon at the hospital, said doctors would resume treatment “very soon”, adding the growths had spread to other parts of his body. “I requested Bajandar to return as soon as possible. Now we have to start from the very beginning. We’ll have to conduct more surgeries,” said Sen.
Prime Minister Shaikh Hasina had promised free treatment for Bajandar after his plight captured the sympathies of the country. He lived in the hospital’s expensive private cabin with his wife and daughter for nearly two years during his first round of treatment. 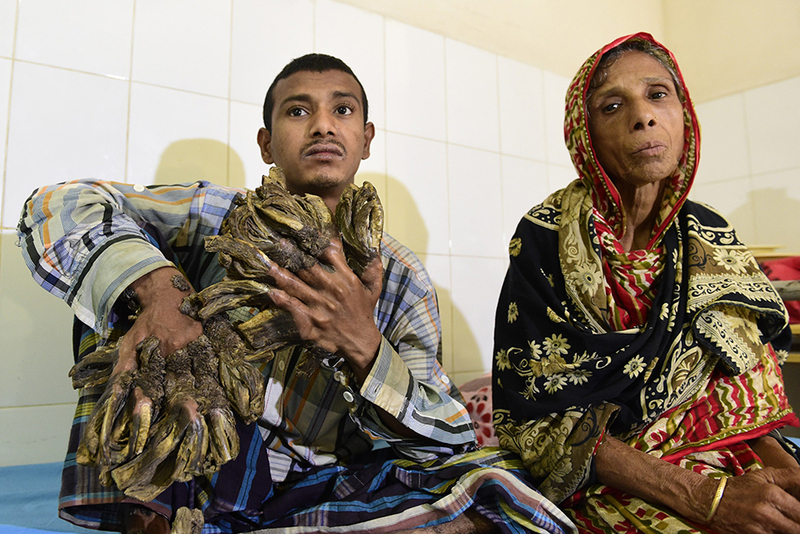 The father of one suffers from epidermodysplasia verruciformis, an extremely rare genetic condition also known as “tree-man syndrome”.